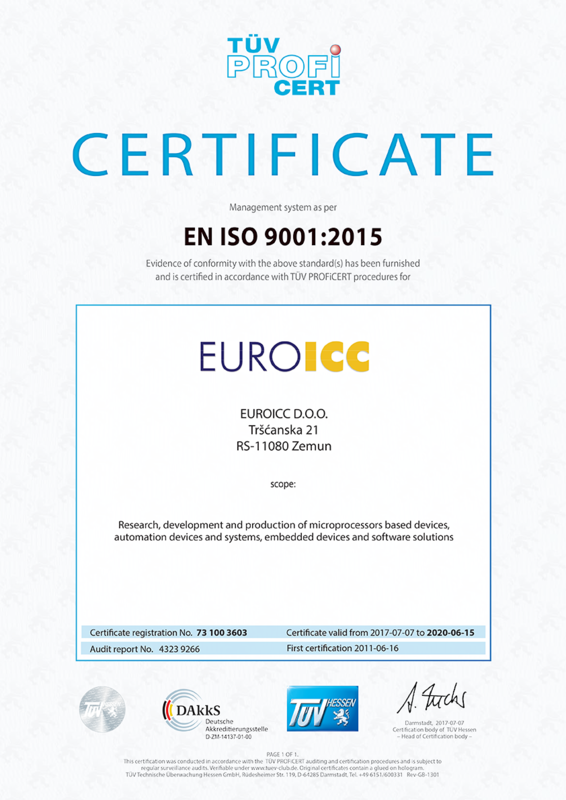 EUROICC has been successful in automation business since 1998. Committed to development of original products and solutions, our focus in first business years was on automation of industrial plants in Serbia. During the last several years we have been dedicated to export of products and solutions to markets in EU and USA. Our next challenge is energy saving through smart management of hotels, public and residential venues. For that purpose we have developed a compact series of programmable controllers respecting industrial standards and market demands. Small in dimensions, open to user programming, controllers from the compact series are a contemporary solution with broad use. 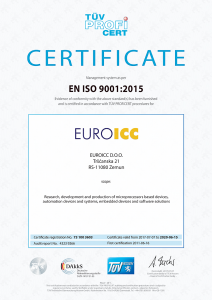 EUROICC is a manufacturing company with clear commitment to development of original products and solutions. Therefore we are constantly looking for cooperates that can contribute to placement of our products and solutions on new markets. Long-time experience, expert staff, dedication and constant pursuance of new solutions according to market changes, make us a reliable long-term partner.